WASHINGTON — As families prepare for the upcoming school year, high school students around the country are sharing concerns about pedestrian safety. According to a new study by the Family, Career and Community Leaders of America, 73 percent of students feel unsafe at intersections. 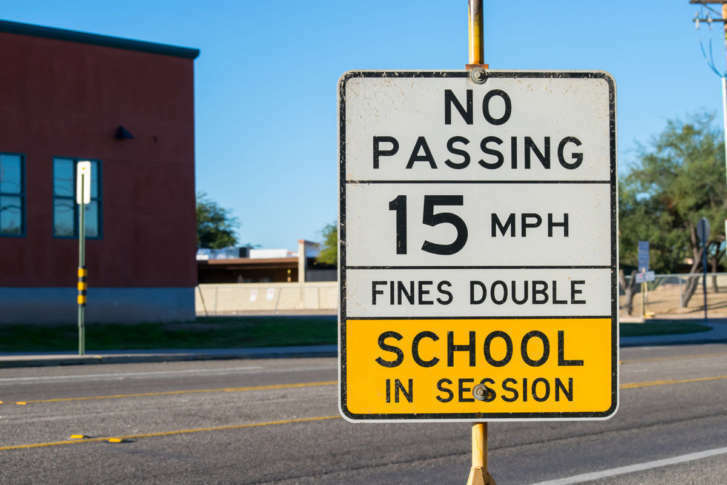 “Engaging with youth about road safety is imperative to ensuring that students feel safe as they prepare for the start of the 2017-2018 school year,” said Sandra Spavone, the executive director of the group, which is based in Reston, Virginia. The study looked at 71 high schools across 22 states, surveying more than 1,000 students. It found that 40 percent of schools reported that their pedestrian crosswalks were not painted properly, and that 47 percent of schools said crosswalk signals did not allow enough time to safely cross the street. Locally, in Bethesda, there have been persistent safety concerns at River Road and Braeburn Parkway near Walt Whitman High School. That intersection was the site of a crash last year that left three people dead. State transportation officials decided to install flashing lights in an effort to slow down drivers, but the group that signed the letter said more needs to be done. They want the area designated as a school zone so the speed limit can be lowered. The letter was signed by Sen. Chris Van Hollen, Montgomery County Council President Roger Berliner, state Sen. Susan Lee and state delegates Ariana Kelly, Bill Frick and Marc Korman.